Looking for a personal blog WordPress theme? 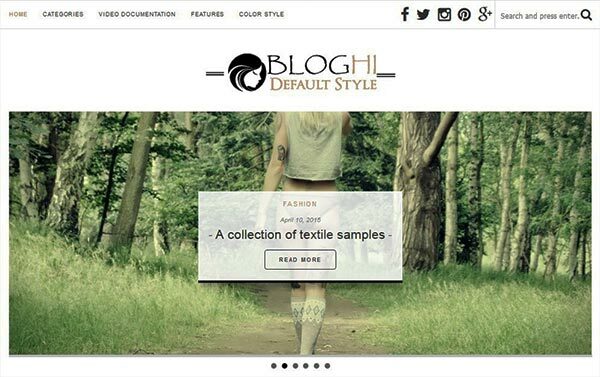 Bloghi is a beautifully designed responsive theme with amazing features and powerful optimization. In this Bloghi review, we’ll show its features and help you decide if it is the right theme for your needs. Bloghi is a theme by Mojo Marketplace, the best personal blog themes sellers in the web industry. This theme offers multiple layouts with elegant colors and designs to optimize your blog as you need. Bloghi has unlimited styling and tons of other features to help you create a beautiful blog. When it comes to features of Bloghi, the theme has a variety of amazing options to tweak the design and content. It allows you to add social share icons on posts, define your post format, add an Instagram footer slider, galleries, homepage and sidebar sliders and a lot more. The sidebar has multiple options to add Flickr photos, your personal details, videos and more widgets as you need. Bloghi is a responsive design theme that means it looks great on any desktop or mobile device. The images, content, widgets, sliders and all other features adjusts automatically according to the screen size. Responsive design helps you to optimize your site for search engines, and it will bring more visitors to your blog. Most WordPress themes by Mojo Marketplace have multiple layouts. However, Bloghi has unique options in the theme settings. The layout settings are easy to understand with simple enable/disable functions. You can enable/disable sidebar on homepage and other pages/posts, homepage layout, category page layout and more. It also allows you to set the post per grid and list settings. These last two settings of the layout will effect the blog pages and display the posts accordingly. You can simply enable/disable the image slider on your website from Bloghi theme settings in the WordPress admin. 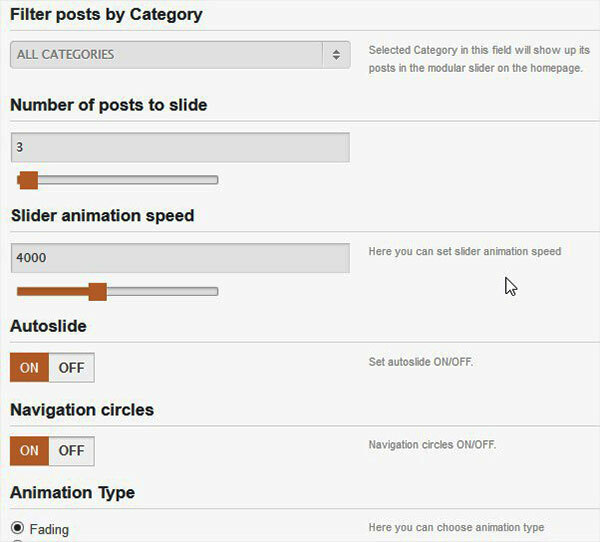 Once the slider is enabled, simply scroll down to manage the settings like number of posts to slide, slider animation speed, autoslide, navigation circles and more. Image sliders are an amazing way to display your featured content on the front to attract more users. However, this default slider by Bloghi theme has limited options. It is recommended to use the Soliloquy plugin that allows you to create the image sliders with unlimited possibilities. You can integrate Soliloquy with Instagram and more apps to display photos from other sources on your blog. 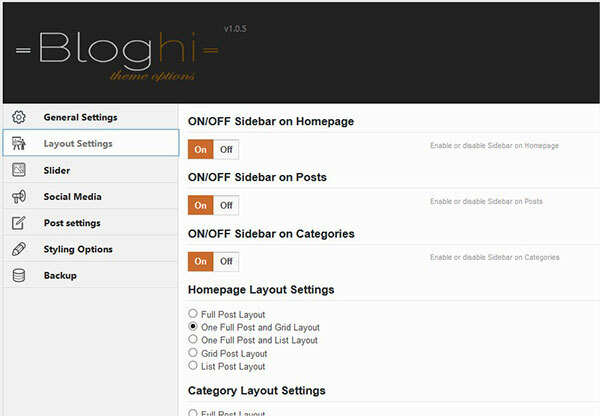 The default widgets of Bloghi theme are awesome to add amazing features on your blog. These widgets include an about me widget, Facebook box, video and more. About Me: In a personal blog, this is the most important widget to add your photo and information on the homepage. However, you need to select the layout with the sidebar from homepage layout settings. Social Box: You can add your social channel links in the sidebar and integrate them with the social apps, so it will display the number of likes and followers. All these widgets have a line of explanation to guide you on what it will display on your blog. 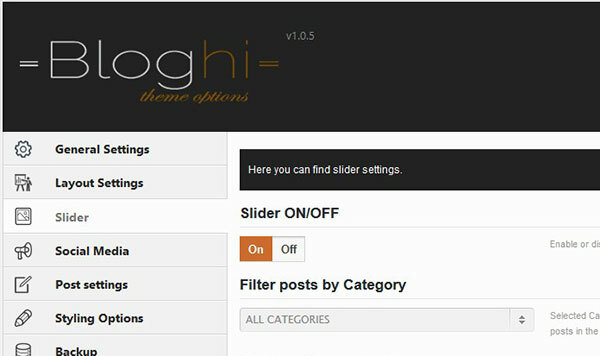 When you install and activate the Bloghi theme, it will recommend you a few plugins to install for adding more features in the blog. One of these recommended plugins is Instagram slider. 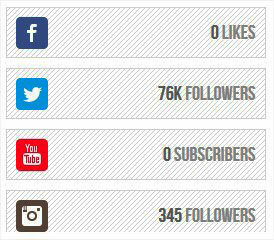 You’ll need to add the Instagram widget in the Sidebar Footer widget area. These settings can be managed from the general WordPress widget options. 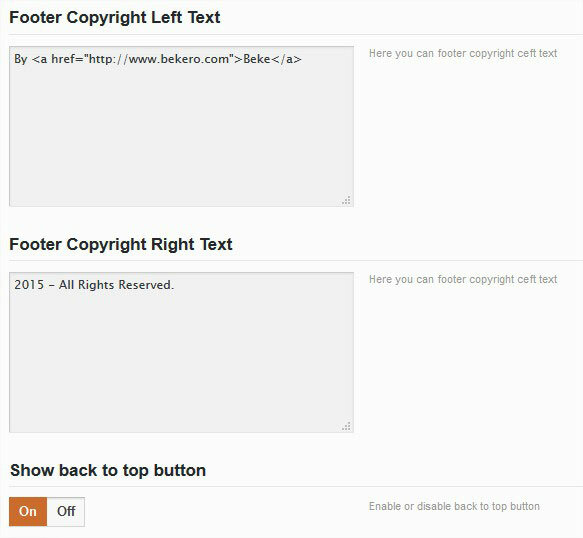 There are two places in the footer to add the copyright text and credit details to developer. You can manage this text from the general theme settings of Bloghi theme. The text appears on the left and right side of the footer. It also allows you to enable/disable the back to top button. 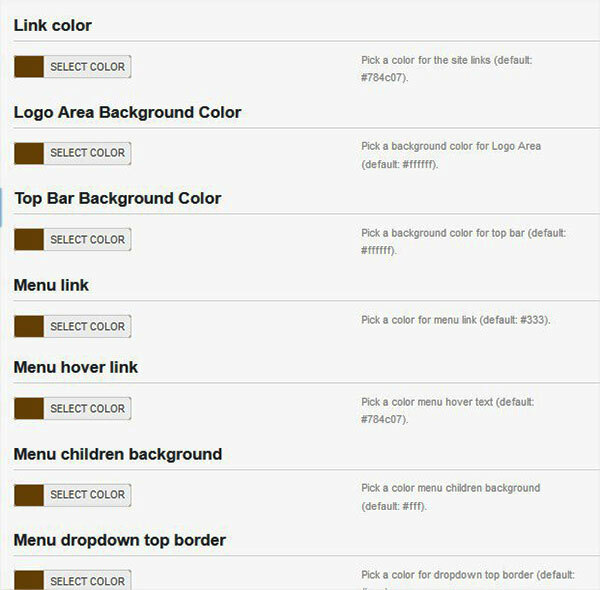 Styling options are available in the Bloghi theme settings in WordPress admin. There are tons of settings in this section to manage your link styling, logo styling, header styling, background styling and more. You can click on any option to change the color. 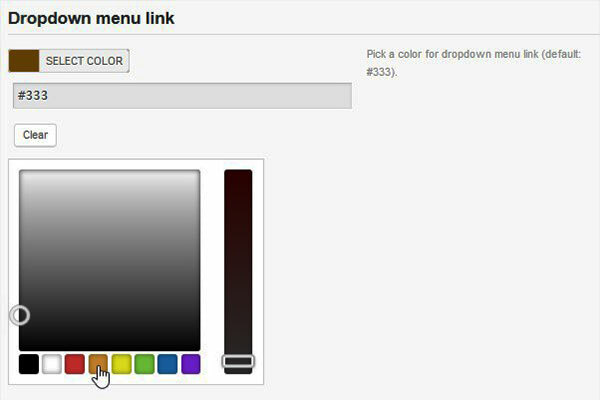 It will show you the color visualizer to move the slider and select the color you need. It’s available with each setting on the styling page. 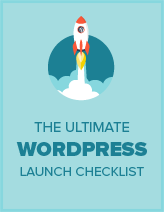 Bloghi theme has a detailed documentation that clearly explains how to start a WordPress blog quickly and easily. Narrated video tutorials, automatic updates, and support forums helps in resolving any query. Bloghi is available for a one-time fee of $49 for a single site license. You can also purchase a 5-site license or a developer license. If needed, you can also include addon services with your purchase, like WordPress theme installation and WordPress site backup. You can post your support questions by logging into Mojo marketplace. Bekero, the team behind Bloghi resolves all the support queries in a timely manner. However, you can also email them for any questions. Bloghi is a personal blog WordPress theme from Mojo Marketplace. With Bloghi, you can easily get your site up and running. In case you need assistance, you can easily find a solution by referring to the documentation. The theme designs and the options panel makes the customization easy.